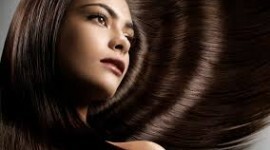 Fish oil known as perfect for reducing hair fall. and apply it onto the part of your scalp where hair density is low. the pores of your scalp to let fish oil do its work more effectively. If possible, instead of a hot towel you can also get hair steam to open the scalp pores. Would coconut oil work okay as a base oil? I can’t find almond oil in the nearby markets. And how long do you wait after you apply the mixture to hair to shampoo it off? I have the same question as Jenny. How long do you the mixture on before shampooing?